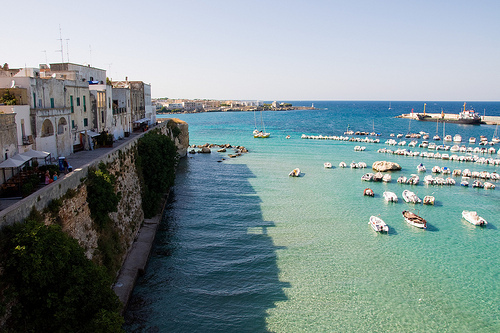 Otranto is located on the east coast of the Salento peninsula, in Puglia, and is a real gem of a town. Situated near Lecce along the marvelous crystal clear waters of the Adriatic, Otranto is a wonderful tourist destination with a bustling seafront area and many architectural gems such as the Castello Aragonese and the Cathedral. The real-life 'castle of Otranto', the Castello Aragonese, is a mighty construction which forms part of Otranto's defence system. The current building is fifteenth-century, though it was built on one of Frederick II's earlier fortresses. It is open to the public and this summer (28 May to 25 September) is hosting an exhibit of lithographs and sculptures by Salvador Dalì. Before dismissing the Cathedral as yet another pretty medieval church, take a closer look inside. Yes, those are skulls! Instead of the usual altar pictures, there’s a wall of skulls, displayed prominently for the church congregation. 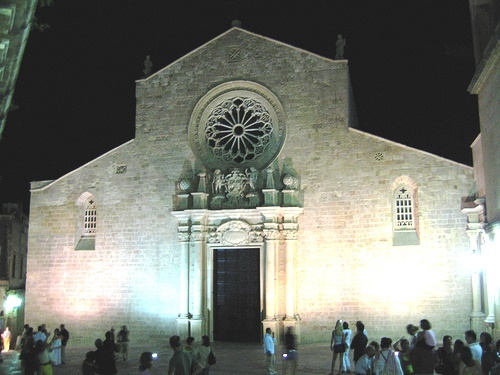 Meet the martyrs of Otranto Cathedral in Italy’s Apulia region… The year was 1480 and the fateful day July 28 when a fleet of 70 to 200 Ottoman ships reached the city of Otranto, then part of the Kingdom of Naples. It was the beginning of the Ottoman wars (1453-1683) in Europe and invader Mohammed II had conquered Constantinople just 28 years earlier. The garrison and the citizens took cover in the castle, but as it had no cannons for defense, it was soon conquered and the garrison killed. On August 12, 800 citizens were taken to the hill of Minerva, now called the Hill of the Martyrs, and beheaded because they refused to renounce their Catholic faith. 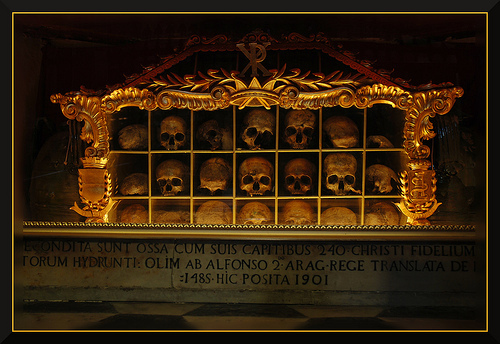 Their remains were taken to the cathedral and the skulls preserved in the altar piece as a prominent reminder of these 800 martyrs. Another must-see item in the Cathedral is the twelfth-century mosaic. It is a charmingly quaint yet large-scale work carried out by a monk called Pantaleone. Pictures within the mosaic include religious stories like Noah's ark, but also depictions of historical, mythical and even pagan figures, including Alexander the Great and King Arthur. 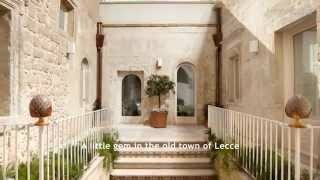 Alongside the cattedrale is a small museum, the Museo Diocesano, which contains a few local exhibits including fragments of an earlier fourth or fifth-century mosaic from the cathedral site. Step outside of the history of the cathedral and back into the present day town, where you can enjoy the alleyways of the historic town with white washed houses and many pretty piazzas where you can sit and watch the world go by. The busiest lanes are lined with shops (clothes, ceramics, sandals…), restaurants and bars and there are many places to sit along the walls and enjoy the sea views. 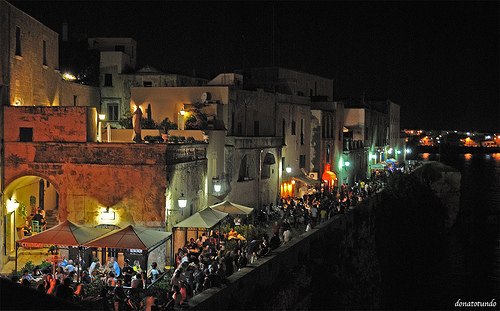 On summer nights, Otranto has a lively holiday scene. Just as soon as the sun begins to dip, the streets become busier until the little alleys are filled with people. There are many bars and restaurants where you can sit outside overlooking the harbor and bay. Shops are open until late and restaurants and bars much later. There are fair-type attractions and candy stalls for children along the harbor. By the time night has fallen the city walls and area around the castle are a hive of activity and the old walls are impressively lit. The beaches actually within the town are very small - pleasant on a sunny May weekday, but extremely crowded in the peak summer season. The coastline outside Otranto is renowned for its beauty, and there are more stretches of popular beach to both the north and south. 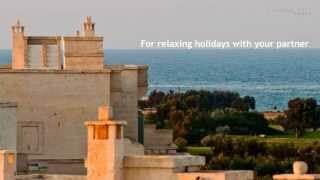 To the north of Otranto lie the sandy beaches of Baia dei Turchi and the Laghi Alimini, large lakes close to the sea. A good seaside destination to the south of Otranto is Porto Badisco, a picturesque rocky cove. All in all, Otranto is yet another delightful Puglian destination!